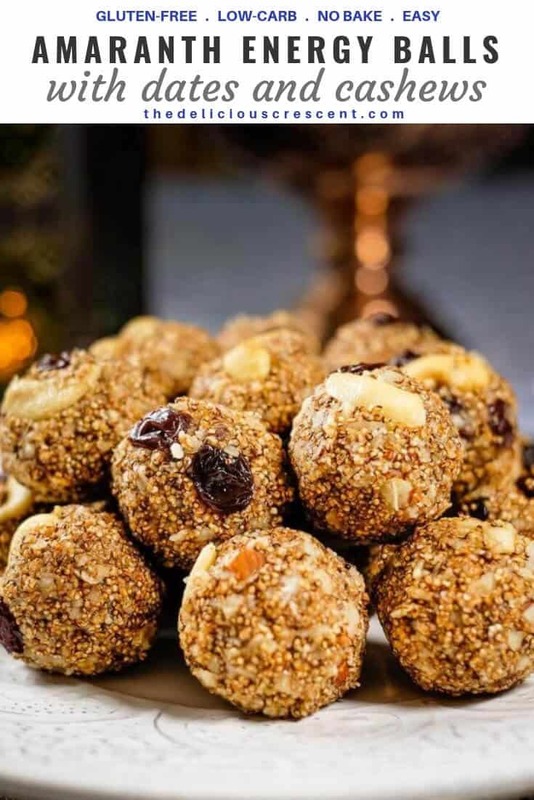 Amaranth energy balls with dates and cashews are no bake gluten free energy balls that are so flavorful, rich and delicious. These are perfect for a snack to give you a boost of energy or a great dessert-like energy bite. 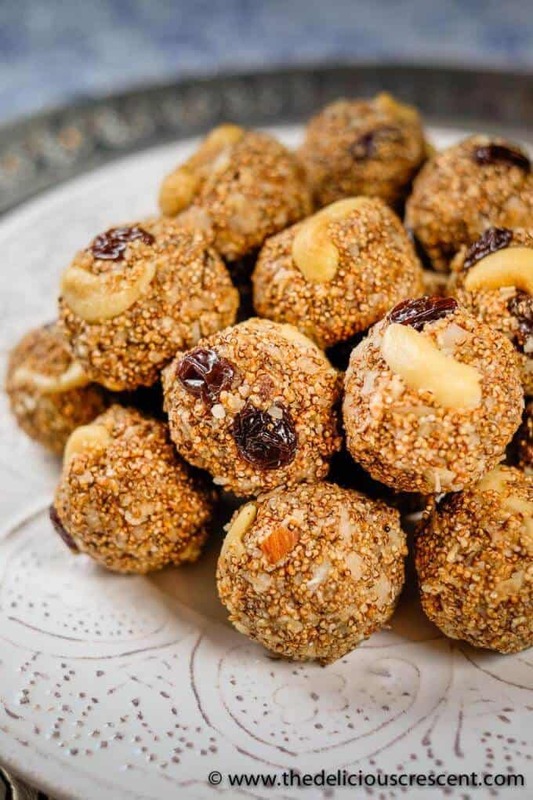 The ingredients used for these amaranth energy bites are so nutritious – amaranth, dates, cashews, almonds, raisins, almond flour, cashew butter etc. They are an easy and quick treat to make. I love the flavor of cardamom in it but you can easily swap it out for the flavor of your choice. The caloric content of these amaranth energy bites are also suitable for giving a measured boost of energy, especially for a woman of average needs. Unlike several energy balls recipes that are a lot higher in calories and carbs. If you wish to lower the saturated fat even further, then you can swap some ingredients (see tips below). 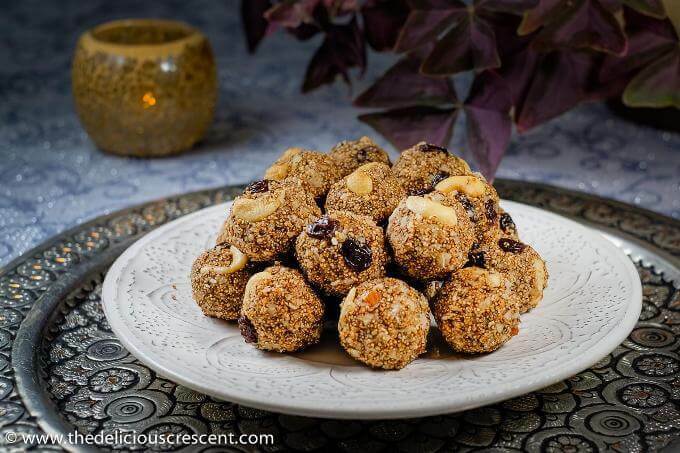 These energy balls with cashews are high in iron and very low in cholesterol and sodium. Amaranth is a super impressive grain that has been used since ancient times. Well, it is actually a highly nutritious pseudo cereal – a starchy seed with a relatively higher amount and quality of protein than other cereals. It also has a higher amount of lysine, an essential amino acid. Research studies have attributed many health benefits to this ancient grain that include – lowering of cholesterol and blood glucose levels, antitumor activity, enhancing the immune system, anti allergic and antioxidant activities. Amaranth belongs to the group of so called “superfoods” and is also a great source of fiber, calcium, magnesium, manganese, phosphorus and iron. Some research indicates that amaranth has prebiotic potential and therefore may help with maintenance of gastrointestinal health. Often times we focus only on the macronutrients – carbs, protein, fats and don’t realize that wholesome nourishment is much more than that. Good nutrition is not just about helping with that number on the weighing scale, but also about prevention of disease. Amaranth seeds are rich in phytochemicals with antioxidant and anti-inflammatory activities that help with lowering the risk of oxidative stress related diseases such as cancer, diabetes, cardiovascular disease and obesity. 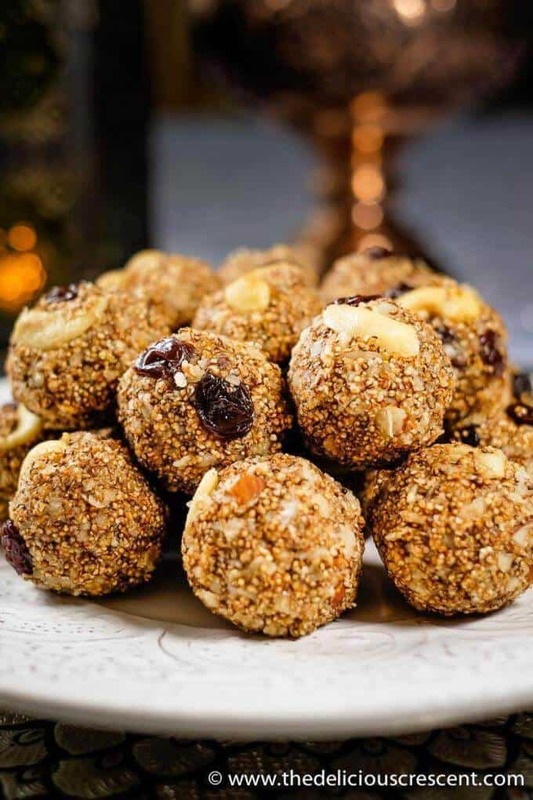 These amaranth energy balls are sweetened with dates, that do not contribute to added sugar in the recipe and have many other health benefits. Cashews are also nutrient dense nuts providing protein, healthy fats, vitamins and minerals. Use maple syrup instead of honey or use 1/2 cup dates. Use 1/2 cup cashew butter and skip the ghee. You can use 1/2 cup cashew butter and skip the ghee. You can use 1/2 cup dates and skip the honey. Use 1/2 cup almond butter and skip the ghee. 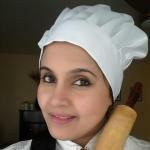 Or lower the amount of ghee but make sure to use a very flavorful ghee. Heat a skillet at medium high until it is hot. If you hold your palm over the skillet you should feel the heat. Sprinkle a pinch of amaranth seeds to test if the skillet is ready. It is ready when the seeds start to pop immediately. If it is not hot enough the seeds will not pop quickly and if it is too hot some of the seeds may burn quickly. You must experiment it a few times until you have figured out the right temperature for your skillet and stove. When the skillet temperature seems to be appropriate, spread one tablespoon of amaranth seeds evenly and place a lid over it (preferably a see through glass lid). Quickly swirl the pan over the heating source as the seeds pop. When the popping slows down, transfer the popped amaranth to a plate and spread it to cool down. You may also put them through a sieve to get rid of the seeds that did not pop. Repeat with remaining 3 tablespoons of the amaranth seeds to get about 1 cup of popped amaranth. Process the dates into a smooth paste in a food processor and set aside. Heat the ghee over medium heat and lightly toast the cashew halves and chopped almonds. Next add the raisins and stir a minute, making sure they don't burn. Add the puffed amaranth, almond flour, grated dry coconut, cashew butter, date paste, honey, nuts and raisins. Using a flat wooden spatula mix it all very well into a smooth cohesive mixture. Take 2 tablespoons of the mixture and roll them into amaranth energy balls. You could make sure to have the cashews and raisins show up on the surface for a nice appeal. I love quick and healthy snacks like this, these look so delicious! Thanks Emily :) No matter how much I like cooking its always good to have some easy recipes around. These energy bites look so delicious and healthy! I never tried making anything with amaranth before, but I know it’s supposed to be so healthy. I have to try this soon! Thanks Natalie. I loved using the puffed amaranth. I want to try making other recipes with it. 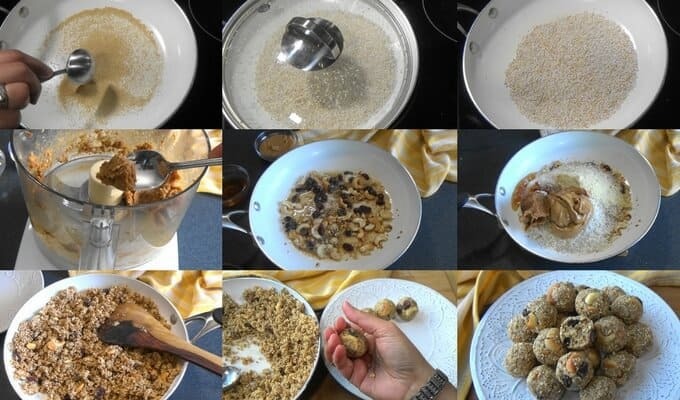 I’m always looking for easy and healthy snack ideas, so I can’t wait to make these energy balls. They look so delicious! We loved them. Hope you try them. Thanks Sara. Omg, what a coincidence, I made cashew date energy balls today, but they were very different recipe than yours. Very interesting to see your version!! Thanks Camilla :) I know I too have such coincidences happen. Thanks Valentina. Hope you enjoy them. Yes indeed I too love the crunchy and light texture of the popped amaranth.